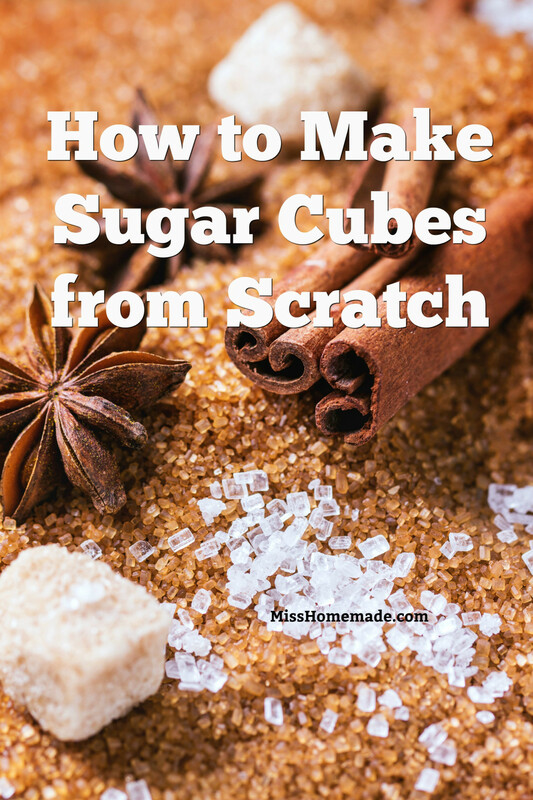 Learn how to make sugar cubes and sugar crystal sticks from scratch. Be creative with the shape, flavor and colors. These make great gifts for tea and coffee drinkers. They are incredibly easy to make. They can be made in any shape, color or flavor, and add a unique homemade touch to any event. Just follow these simple instructions. Recipe can easily be doubled or tripled. Liquid Flavoring - use hard candy flavoring because it is usually stronger than extracts, but of course you may use extracts if you wish. Gel Food Coloring - Gel food coloring produces vibrant colors without added liquid. Regular food coloring may be used. Sugar Cube Molds - Look for shallow ones. Pour the 1/2 cup of sugar in a small bowl and add 1/2 tablespoon of water; mix. Next, add the flavoring; 1/8 teaspoon at a time. Add slowly and taste. The last thing to add is the food coloring. Add a drop at a time until the desired color is achieved. Orange and lemon flavors are delightful in tea and the orange is great in coffee. You may make cinnamon, vanilla, caramel (you get the picture) sugar cubes. These make great gifts when given with small tongs in an airtight container. One thing to keep in mind about the coloring is that as the cubes dry, the color will get lighter. Mix completely. The mixture should be the consistency of slightly wet sand. It won't set well if it is too dry, so add a drop of water at a time to moisten if needed. Candy molds from craft or baking stores are perfect for this project. Use ones that are not too deep or the cubes will take a long time to dry. Spoon some of the sugar into each shape and press firmly into the mold. Use adequate pressure and make sure that the shape is completely filled. I just use a clean finger to do this, but you can also use the back of a spoon or another object. Use a slightly damp paper towel or clean paint brush to wipe off any excess sugar around the shapes. Set aside to dry. I leave my molds out overnight so the cubes are nice and hard when I remove them. Once they are out of the mold, gently clean off the edges. Lemon, Vanilla, Cinnamon, Almond, Orange, Raspberry, Banana, Cherry, Chocolate, Lime, Rum, Coconut, Rosewater, Ginger, Peppermint, Egg Nog, Maple, Lavender, Pumpkin Pie Spice. Source. Need more homemade gift ideas? Try the crystal rock candy sticks at the link below.